The Queen and the Duke of Edinburgh, with the Duchess of Cambridge. This morning the Queen, who is now feeling much better from her recent illness, visited the London underground as part of its 150th birthday celebrations. 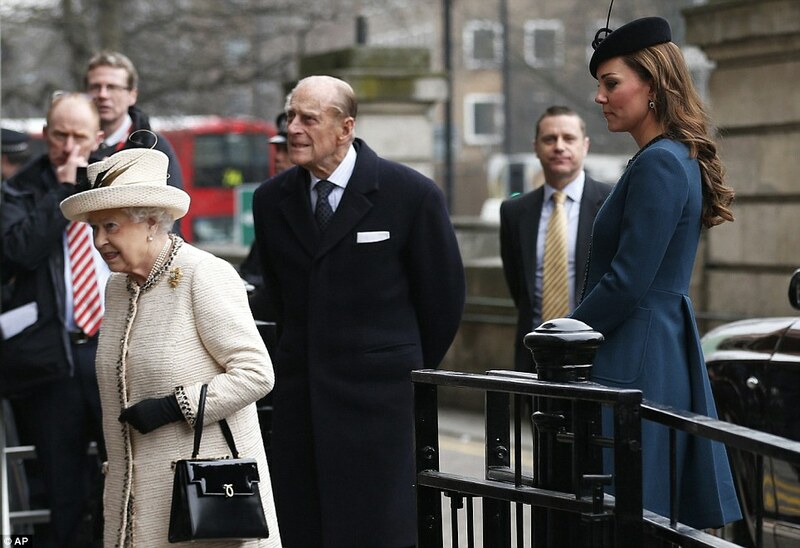 H. M. and the Duke of Edinburgh, accompanied by Kate Middleton, were given a tour of the Baker Street tube station. The Queen at Baker Street, flirting with leopard print. The Queen’s coat was the real show-stopper for me. The cool beige colour set off by a chocolate-brown brocade gave the impression of a leopard print trim from a distance. A Queen would never wear full leopard print, but it shows a touch of regal humour just to give the illusion of the pattern. 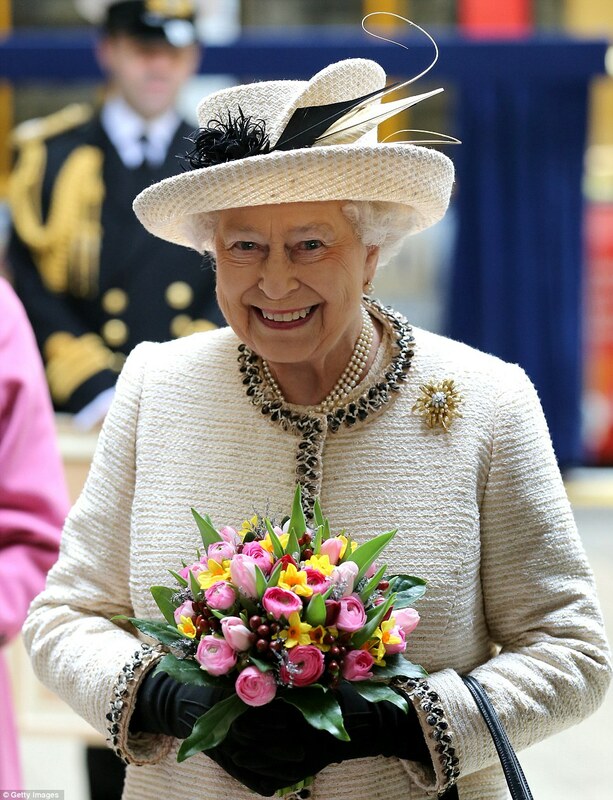 The Queen then unveiled a new underground train, which has been named the Queen Elizabeth II. 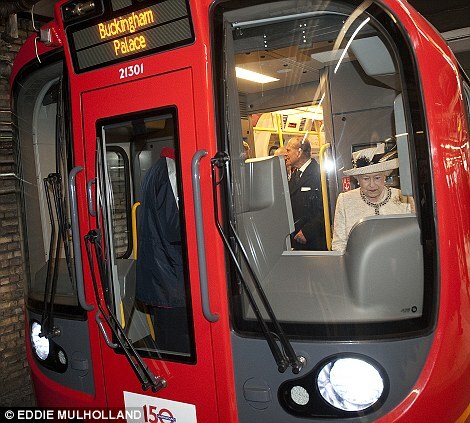 The Queen has a go at driving a train on the underground – where is she taking them? Why, Buckingham Palace of course! 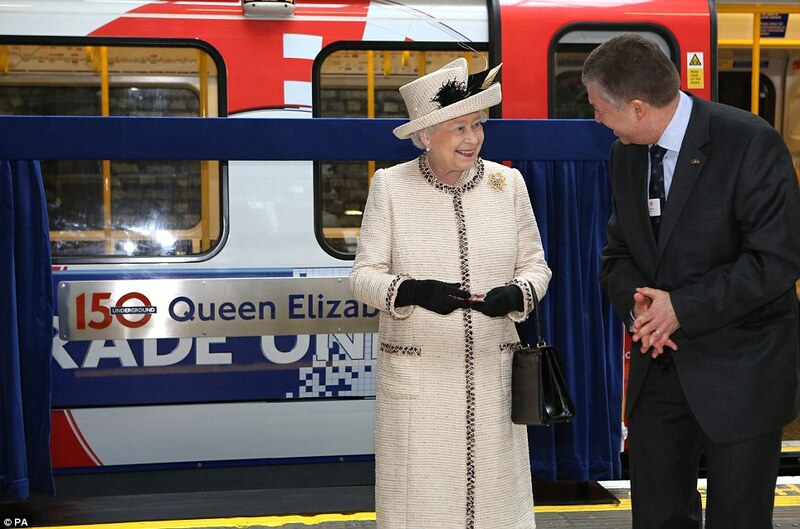 H. M. unveils a new train, the “Queen Elizabeth II”. Yes! Hopefully she stays that way and it wasn’t too much for her. 🙂 And thanks for the lovely pics too! I would love to take a ride on the QEII. I think the London Underground is ready for the rest of the 21st century.